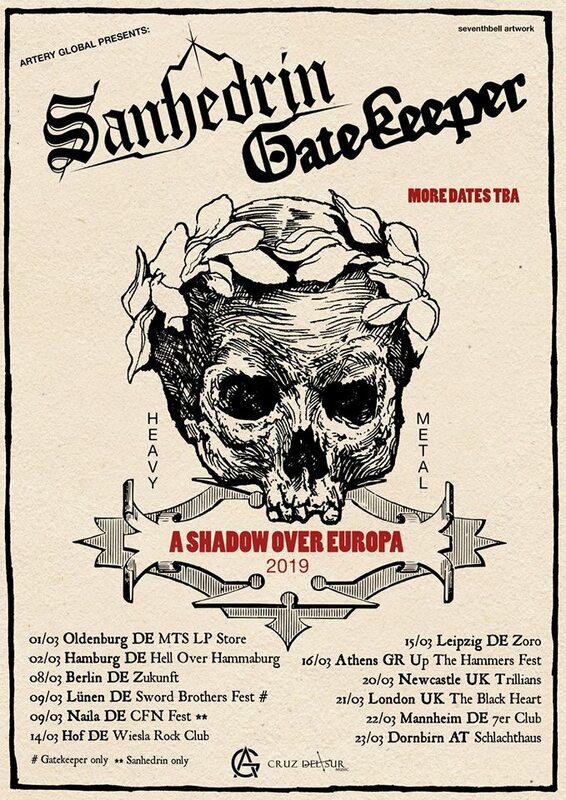 Gatekeeper and Sanhedrin are hitting the road together in Feb/March 2019 for a three-week tour that will span across the EU, including dates in Germany, Austria, Greece, the UK and many more yet to be announced. We are also thrilled to announce our partnership with Artery Global, our new booking agency for Europe. Their efforts and teamwork have made this undertaking a breeze for us and we look forward to a fine and busy future together. There will be many more dates and details to be announced in the coming months so be sure to follow us here, Instagram and Twitter and Spotify to stay abreast. We also encourage you to sign up for our mailing list, which runs monthly and usually involves you getting free and exclusive stuff every so often.